The GNOME Community has just announced the official release of GNOME 3.22. 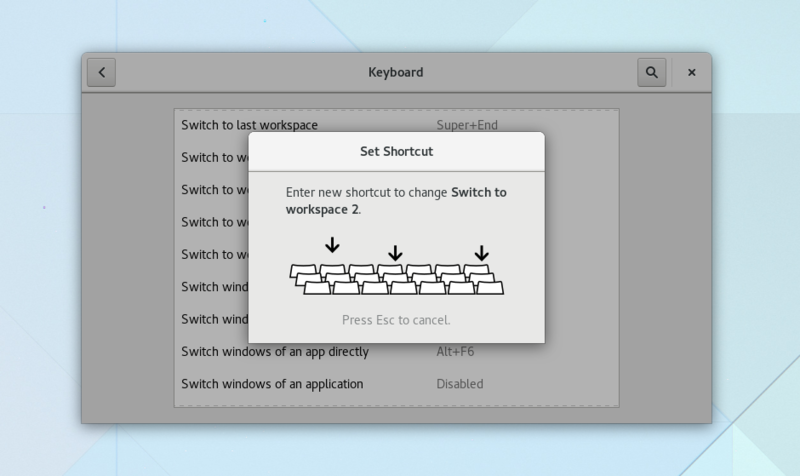 GNOME 3.22 — which is slated to be used as the desktop environment for Fedora Workstation 25 — provides a multitude of new features, including a the updated Files application, and comprehensive Flatpak integration with the Software application. Fedora users that want to try out the new features in GNOME 3.22 can install a pre-release version of Fedora 25, which currently contains a pre-release of GNOME 3.22, but will be updated to include the stable 3.22 release. Alternatively, if you are running Fedora 24, and want to try out individual applications from the GNOME 3.22 release, these can be installed via Flatpak. One of the major applications in the GNOME family that got updates for the 3.22 release was the Files application (nautilus). As previously reported here on the Fedora Magazine, Files has a nifty new batch file renaming ability now baked in. Another neat new feature in Files is updated sorting and view options controls, allowing you to switch between the grid and list view with a single click, and simplification of the zoom and sorting options. These changes were implemented after a round of usability testing by Outreachy intern Gina Dobrescu. The Software application in 3.22 is also updated, with the landing page showing more application tiles. Star ratings — that were introduced in a previous release are now more prominently displayed, and new colour coded badges indicate if an application is Free Software. Installation of Flatpak applications from Flatpak repositories is now also supported in the Software application. For more information on what makes up the 3.22 release, check out the official release announcement, and the release notes. Well…maybe in November, but it will be usable at the time? Fedora 24 is still my nightmare. It has few bugs that haunts me. So I’m forced to using Fedora 23. If Fedora 25 will be bugged like F24…sorry…I must go and pick some other distros. Yes, I know but I don’t update the latest version, instead I update every six months to the previous version, in this case I will update fedora 23 (which I currently use) to fedora 24 in december and I will update fedora 24 in june 2017. Why where is no distribution like KDE neon? Stable release, but with latest graphical environment. Yes, Fedora, way more stable than Ubuntu LTS (the base of KDE neon). Fedora 25 is just a few weeks away. Well, this is Fedora, GNOME is more equal than other DEs. I will stick with MATE. Has anyone actually counted the number of downloads or installs that are using Gnome 3? Everyone I know is using Cinnamon, with only one using Gnome 3 and 0 people using KDE or anything else. Just curious. Cinnamon still uses a fork of the Gnome shell, and at it’s core the GTK (Gnome Tool Kit). The heritage is common, whereas KDE does not, being based on the QT4 libraries first, and now QT5, which should explain why it is not shipped/included in Fedora Distro. FOSS baby! Nice but still use GNOME in the fall-back mode. I want to say that gnome software is really next to useless, because probably we all know those applications already. And people generally look for an application they don’t know on google. I can’t believe how rude some people are in our ecosystem. A bunch of people go spend an enormous amount of time working on something and then some other people think it’s okay to come to a forum to post how the tools are “next to worthless” or how they use some other product instead as if it is relevant to this news item. Who raised you people and what makes you think it’s okay to act like this in our community? How do I install on Fedora 24? There is no easy way to install on Fedora 24, your best bet to try out the GNOME 3.22 on Fedora is to install or upgrade to a Fedora 25 pre-release. Congrats to GNOME Community for this great job!